Bussers are restaurant staffers who are responsible for discretely clearing away the empty plates and dishes from tables during the course of a patron's meal. They are responsible for being unobtrusive in the way they approach diners, so as to not interrupt the meal. They discretely inquire about whether a customer has finished with a beverage, side dish, main course or dessert, and then they carefully move that dish away without allowing food or drinks to spill on the table or on the diners. Bussers may also wipe up spilled food and crumbs, and refill water glasses.<br><br>Runners are restaurant employees who are responsible for transporting food, beverages, condiments and utensils to diners outside of or in coordination with the deliveries made by the waiter or waitress. For example, a runner may be asked to provide extra napkins, deliver a bottle of steak sauce or alert the waitstaff if the table needs additional service. Runners also assist in helping transport ordered food and beverages to the table, at the direction of waitstaff. Their role helps ensure that everyone gets their food delivered hot, and at the same time. 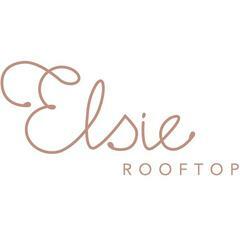 Elsie Rooftop is posting their hospitality jobs on Harri. See what we’re all about.